Are you a big fan of Altered Carbon? According to PursueNews, season two of the Netflix TV show will begin filming in 2019. Based on the book by Richard K. Morgan, the sci-fi drama follows Takeshi Kovacs, a 22nd century assassin who is compelled to track down a killer 250 years in the future. The cast includes Joel Kinnaman, Renée Elise Goldsberry, James Purefoy, Kristin Lehman, Martha Higareda, Dichen Lachman, Leonardo Nam, Hayley Law, Chris Conner, Ato Essandoh, Trieu Tran, and Will Yun Lee. Per PursueNews, Altered Carbon is set to begin filming its second season in February. Netflix has not yet announced a premiere date, but we do know that the lead character will be played by Anthony Mackie in the upcoming season. What do you think? Have you seen Altered Carbon? Will you watch season two? More about: Altered Carbon, Altered Carbon: canceled or renewed?, Netflix TV shows: canceled or renewed? 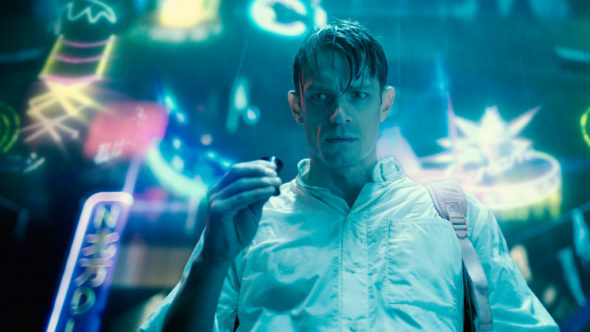 Altered Carbon on Netflix: Cancelled or Renewed for Season Two? Why is the man character change in season two. Mostly because he was slated to be working on other projects, but given the in-universe explanation of using a different “sleeve”, this shouldn’t complicate things that much.